We’re very excited as we enter our most busy time of the year. We typically see more metal roofs being installed in August – October of each year than any other time. This probably has a lot to do with folks working to get projects done before winter. Perhaps you’re on the same journey. 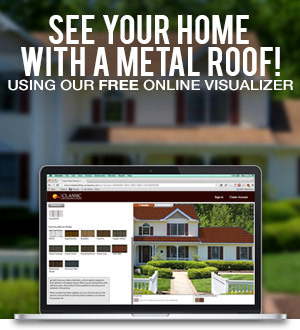 Knowing that many of our readers may be choosing a metal roof to have installed yet this year, we want to share the Keys To A Quality Metal Roof. Right now, more than ever, we’re seeing real issues with folks buying sub-standard metal roofs. This leads to nothing but disappointment down the road. But the question is: how can a consumer gauge the quality of the products they are considering? This question is at the forefront as we’re seeing low quality and perhaps even dangerously-produced products being “dumped” into the United States from China and other countries. While tariffs on foreign-produced metals have impacted U.S. manufacturers, fabricated products are coming into the United States tariff-free and at very low prices, presumably to make up for the decline in metal coil being shipped into the U.S. This is a concern when we see consumers have these products installed on their homes that have very suspect warranties and usually no United States product testing or code listings and approvals. The stakes, of course, are incredibly high. When you choose a metal roof for your home, you’re making a significant financial investment and also an investment that you expect to protect and beautify your home for the long term while saving energy and adding value. Sadly, the internet is full of horror stories of homeowners who have purchased metal roofs and did not get what they were expecting. We do not want that to happen to you! To help you avoid falling victim or wandering off-course, we have prepared a list of key considerations when buying a metal roof. Learn about the three groups of metal roofing manufacturers and why a focus on residential metal roofing is important. Learn about the two types of roofing warranties you need and why. There are design reasons for why a product may be made from one of the four primary types of metal used in roofing. Curious? Beyond the eight-syllable names of some protective finishes, our Key Quality List on the subject educates homeowners. A big part of your metal roofing decision should pertain to the style of metal roof you choose. How many choices are there? Guard against inferior products being installed on your home. Our Key Quality List concludes with our repetitive reminder: make sure that the folks who are installing your roof are properly experienced and trained. 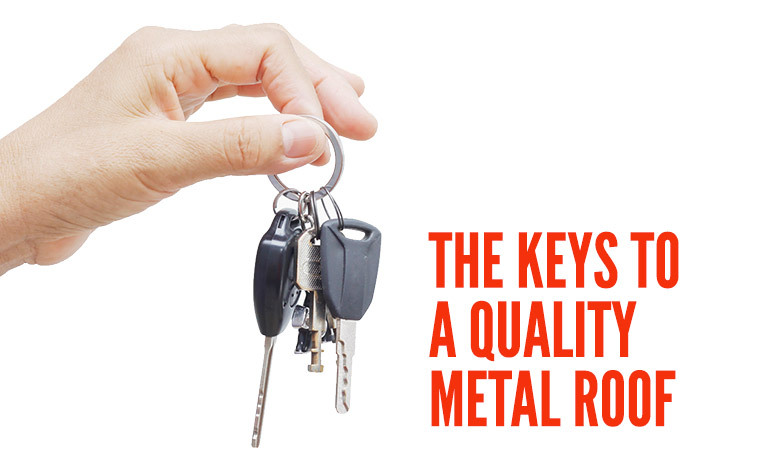 We hope that the Keys to a Quality Metal Roof help guide you in your product selection. And when it’s time to talk with a contractor, here’s a handy list of 44 Questions to help guide you. One last “key” for you: it unlocks our Metal Roofing Research Toolbox. Feel free to contact us if you have any questions or if there is any way in which we might be of service. Our phone number is 1-800-543-8938.